When you can understand how people view your brand, you can control their opinions using the appropriate medium. 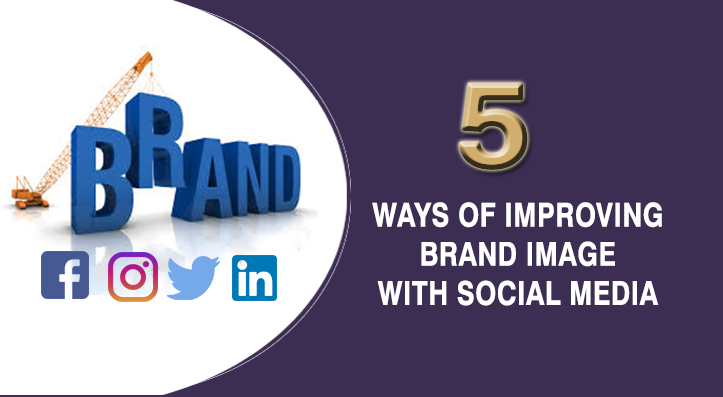 Image branding is the method and strategy used in creating impressions in the mind of customers about your brand. The image of a brand is developed over time through PR and Advertising campaigns with a consistent theme validated through the customer’s experiences with the brand. The first step is to know your audience. You need to specify who your audiences are as they comprise of customers, partners, industry analysts and employees. You have to create a feasible goal. Having an attainable goal is critical for image branding, this will let you perform tasks at your own pace. Once the key audiences have been identified and achievable goals have been set, you can now start to build your brand persona (what your brand stands for). After defining your brand persona, it is important to document your message to appeal to your target audience. Customers like knowing what to expect from the interactions they have with your Brand. This means you have to deliver a clear and consistent message through social media channels. Especially during your PR and advertising campaign. Very few people can explain what people in public relations really do. A lot of people might think that Public relations is just a cute name for people who organize fancy campaigns for brands. These “PR experts” most times have no idea what Public Relations actually is about. To succeed in the PR space, you have to be willing to ‘put your all’ into it. You must have a ‘proper understanding of the brand(s) you are managing’ and should always ‘think’ before you talk. To survive in PR, please note that “PR is a Persuasion Business”. It involves convincing an audience; inside your building or town and outside your usual sphere of influence, to promote your idea, purchase your product, support your position, or recognize your accomplishments. RESEARCH: This is the most important part of PR. You must perform a brand survey and audience survey to gauge the awareness and perceptions of your client and public attitudes towards it. It’s extremely important to conduct a research before launching a PR program. This will determine the strategies and tactics that will be used to run the PR campaign. UNDERSTAND THE AUDIENCE IS IN CHARGE OF CURRENT LANDSCAPE: Whatever campaign you want to push, understand that the target audience decides if the message is worth it or not. Understand who you are talking to, to enable the message to be sent out via the right medium. If you understand this, you will always achieve PR Goals, therefore making clients happy. THE FOUNDATION OF PR IS MULTITASKING: The beauty and challenge of public relations is found in its broad nature of expectancies. One minute you may be designing a runway show, the next you might be media pitching to local news stations. You should Have the determination and tenacity to complete any task promptly, effectively and with a smile. PS: Learn the skill of doing more than one thing at the same time and doing it efficiently, this will keep you in the PR business for a very long time. THINK OUTSIDE THE BOX: The only difference between you and the other PR guy is the idea you come up with for your clients. Do not limit your thoughts, always think out of the norm and think of breaking bounds. Try not to channel your thought towards some idea that has already been executed. Be unique and creative! THINK ON YOUR FEET: Multitasking is a huge part of PR. You should always think on your feet. Think out of the box, save the word with your thoughts, BUT do it as fast as you can. Think on your feet. Come up with the smartest ideas without delays. Because Time is very important in PR and cannot be wasted. To survive and thrive in public relations, it takes Effort, Persistence and a Huge Drive. In just a few years, influencer marketing has gone from a secondary expense in many brands’ online marketing budgets to its very own digital advertising category. As we look forward to 2018, the influencer marketing space is expected to broaden its scope, extend its reach, and strengthen its impact. While the growing landscape brings with it many exciting opportunities, new challenges will also arise. Influencer marketing will continues its meteoric rise. There is no shortage of success stories in influencer marketing, yet some businesses are only now realizing what they’ve been missing out on. While there was a 90-fold increase in Google searches for the term “influencer marketing” from 2013 to 2016, interest around the topic has doubled in the first nine months of 2017. During the same time, searches for “Instagram influencer” have more than tripled. The reasons for the growing interest are many, but a key principle underlies all: Influencer marketing is working for all types of brands. Consistent with year-over-year estimates, businesses are expected to allocate more money toward influencer marketing in 2018. As the influencer marketplace gets more saturated, however, brands without a clearly defined strategy will find it difficult to break through. Looking at ways to maximize the impact of campaigns, as well as differentiating themselves from their competition, will become key for brands. 2.There will be a surge in influencer demand and value. As demand for influencers increases, so does the value of their services. 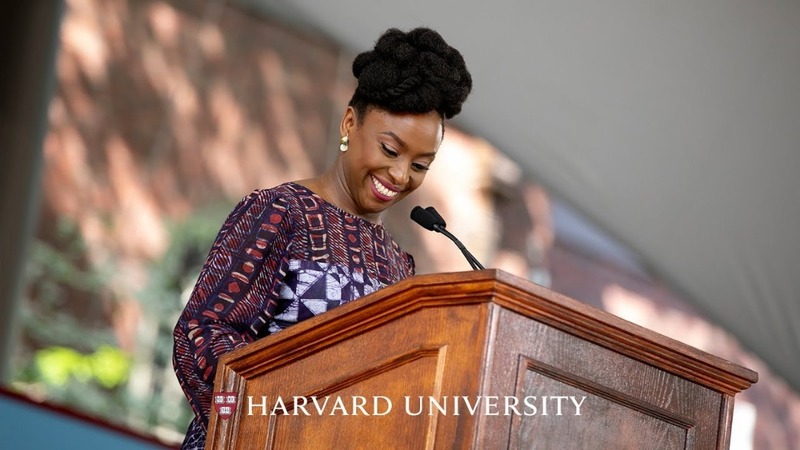 In Nigeria, there was a surge in influencer marketing with the rise of many influencers on social media. Most of them have doubled the amount they used to charge in 2016, and have become even more selective about the brands they work with. Mathison admits that as his value and costs have increased, so have his rates. Many online personalities are starting to recognize their value as creators, and businesses would be wise to budget for their services. Measuring KPIS and ROIs will become even more vital. While many companies understand the positive impact influencer marketing can have on their brand, some businesses are still nervous about what they perceive as nebulous or anecdotal results. Fortunately, there are many strategies and techniques that can be implemented to help businesses track key performance indicators (KPIs) and return on investment (ROI). Tracking KPI and ROI is achieved through an understanding of relevant metric tools for a particular campaign, best practices for integration, and a detailed evaluation of the results. Whether your methods include tracking pixels, offering coupon codes, or directing users toward custom hashtags, working with marketers who know how to deliver comprehensive analytics can offer insights beyond just measuring campaign reach, providing models for audience behavior. Video marketing will become essential for reaching online audiences. In 2018, video will become even more vital to digital outreach as the numbers continue to prove its superiority over other advertising mediums. According to a study cited in Business Insider, video can be twice as effective in driving sales as text-based ads. Moreover, the report indicated that those influenced by video tend to be active shoppers. While businesses are expected to up their video ad investments, an ever-crowding marketplace means visibility and engagement are not always proportional to dollars spent. Instead, those who know their audience and can find ways to engage with them directly, will see the greatest ROI. Instagram will surpass 1 billion users. At its current rate of growth, Instagram is set to exceed 1 billion users in 2018. Influencer marketing on Instagram is currently a $1 billion industry, and it could reach $2 billion by 2019. The mammoth platform offers incredible opportunities for partnerships between influencers and businesses; however, with an estimated 2.7 million sponsored posts, the problem of cutting through the clutter has become a stark reality. To stand out in the coming year, influencers and brands will have to forge relationships, design campaigns, and create distribution plans that are superior to that of their direct and indirect competitors. Every PR Tactic is tailored to appeal to an audience; this can be a very daunting task because capturing their hearts can sometimes be very difficult. Therefore, in order to appeal to their minds, your brand needs to get a little resourceful by implementing some non-traditional PR tactics. Ultimately, you want people to buy the relationship and promise rather than just the service or product; your strategies/tactics should tell your stories while also building your repute and reliability. 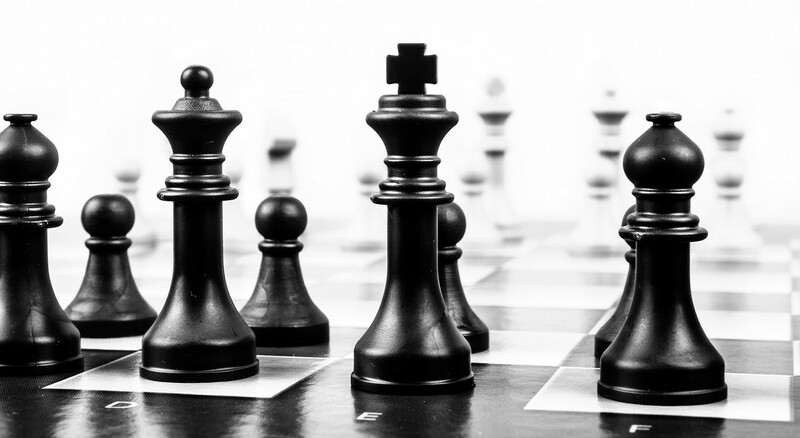 Here are some public relations tactics you can use to get a competitive edge. Study your competitors, what they are offering and what type of media coverage they are achieving. You can make sure that you aren’t talking about the same topics, can see where they are being published so you can emulate, and learn from their mistakes. You should keep an eye on what your competition is up to, but you should never get fixated on it. Writing articles is an excellent way to establish yourself as an expert in your field and give you an edge against your competition. Your articles must be relevant, engaging and valuable for your target audience. You can then pitch your articles to the publications you would like to be featured in. Since journalists are always on the watch for new story angles, expert opinions and advice, providing commentary to the media is a brilliant way to demonstrate your own expertise and knowledge in your topic area. This could be as simple as offering a response to an article or pitching yourself to a publication for an interview. Reading the news everyday is essential for knowing the right time to provide commentary to the media. Speaking at conferences or events is an excellent way to position yourself as an expert with your target audience, build your profile and credibility, and generate brand awareness is to speak at conferences or events. Don’t just be present at industry events, make your presence felt. Case studies describe previous clients your business has worked with. They give potential customers or clients an insight into how your business operates, and how they can benefit from what your business has to offer. Remember: The power of public relations ultimately lies in its ability to set a business apart. Owning a small business and not knowing how to promote your brand could be difficult most of the time. In this new age of digital marketing, using social media to promote your brand is the best way to go. Your target audience are everywhere. You can find them on any social media platform you can think of; Facebook, Twitter, Instagram, LinkedIn etc. Setting up your accounts and managing them might seem difficult but here are five ways to take care of that with ease. The first step to growing your audience on social media is having strong profiles and pages for your social media accounts. When building your profiles and pages, always make sure you fill out every single detail, put up a bio, website link, location, phone number and email address. This will give people who click on your profile a reason to follow you. Another way to build your audience on social media is by sharing reasonable and valuable content. Always remember to share content your target audience will enjoy and they can benefit from. For instance, if your business is a smoothie business, share content about the benefits of smoothies and health tips. Social media is just wonderful because its reach can go worldwide. People can notice your own business with a paid promotion. You have to invest in ads and social media management tools to help promote your business. There are various ways start-ups can share and market their content; you can boost your posts on Facebook, and can promote your posts on Instagram so they can appear higher on your audience’s feed, there by increasing the chance being seen. You can now grow your audience after setting up your social media profiles, content and strategy. All you have to do is follow other people, pages and profiles, repost content, like posts and respond to comments. Always respond to feedback and be regular on your pages. Your community will definitely expand when you engage and interact with your audience regularly. Always keep in mind that you have to track, monitor and measure your social media statistics. Vital metrics will show the success of your marketing strategy and how much you have achieved in a given period of time. A PR strategy enables you to consider every aspect of communicating a message in the best possible way. It helps you to make strategic decisions about the best ways to communicate, as well as increase your profile and build brand awareness. It will also help you to maximise the success of your PR efforts and help to grow your business. 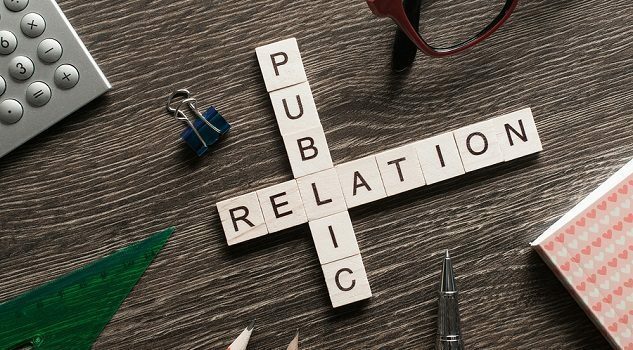 Here are six tips to help you develop a strong PR strategy. It is important to outline the goals and objectives for what you want to achieve, when creating a PR strategy. For instance, you may want to launch a new product line in your business and create awareness for it in the market, or you may want to position your product/ service as the leader in its category. Make sure your goals are SMART i.e, specific, measurable, achievable, realistic and timely. 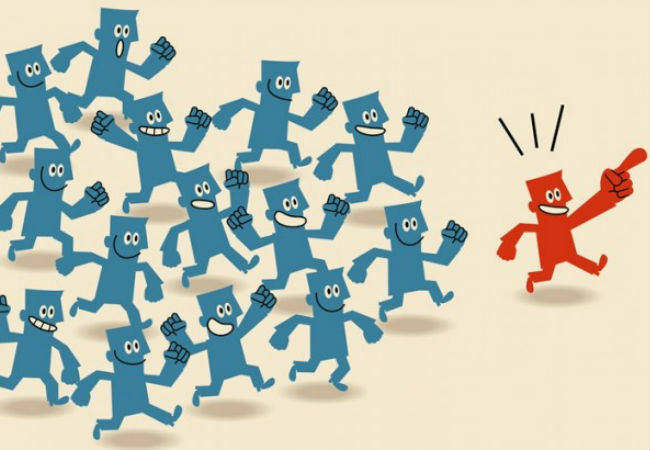 Your target audience consists of the individuals, groups and communities that have influence and decision making power over your products or services. They are the ones you are trying to draw and sell to; the people you want to communicate with. To understand who your target audience is start by asking: Who would be interested in hearing about my business, who are key decision makers, and who will take action to purchase my products/service. Once you’ve identified your target audience, research their behaviours, such as what they read, what they watch, where they visit and how they consume media. By defining your target audience you can tailor your communication to suit their behaviours, and therefore increase the effectiveness of your PR strategy. Key messages are the core messages you want your target audience to hear and remember about your business. They are an important part of a PR strategy because they can shape your content and communicate a unified message. You can include key messages in your written and spoken communication to convey a specific message about your business to your target audience. For example, a key message for a business may be: WildFlower is a leader in the communications industry, by always staying on top of industry trends to create cutting edge campaigns. Tactics are the activities that will help you to achieve your PR objectives. If we use the example of raising awareness for a new product, one tactic may be getting celebrities to endorse the product. Other tactical options include email newsletters, influencer marketing, social media campaigns, blogs, public speaking etc. Make a list of the types of publications your target audience reads, the events they attend and how they spend their time online. This may help to guide what type of tactics will work for you. Always put time frames around each tactic to ensure they are completed in a timely manner. For example, you could create an action plan which details the PR activities for a particular month. Outline things like: who will complete them, when you will start the activities and the deadline for completion. A PR strategy with detailed time frames can help you to organise your workload, act as a reminder and ensure accountability. It is important to measure the success of your PR strategy. By monitoring your success you can determine whether your PR activities are working and discover the areas you need to improve on. It’s also a good idea to regularly review your PR strategy to ensure it’s working effectively. In today’s world, every business owner knows that having a business website and social media accounts is vital for reaching customers. Most startups successfully create an online brand for themselves, but maintaining that brand presence takes a considerable amount of time and energy. Consumers are likely to first encounter your brand online than off, and even those who get their first impression of your brand in print often follow up with a Google search. So, when you start thinking you should let your online brand just drag along, wake up and smell the coffee. A corporate website is the sum total of a business’ branding platform, an accumulation of all the aspects that have come together in various ways previously in an easy to access format. The goal of a website is to characterize a company, sell its products, attract more visitors, generate more business leads, promote more sales of company’s products and services, and ultimately help gain more return on investment. To achieve these, a company should have a consistent brand message that cuts through the clutter and builds loyalty and trust with the customer. A good website should easily portray the company’s values and culture. Visitors who are satisfied will reach out to other potential customers, which will increase your business prospects. Does the experience of your site feel authentic? Your site should not look like the clone of another. It should convey your brand personality — through imagery, motion, color, typography, layout, voice, and tone. If you’re all about information and statistics, make your site crisp and efficient. If you offer creative services, show them off on your site. High end brand? Communicate that through elegant design. The headlines and visuals on every key landing page should communicate your competitive strength. If they don’t, rethink them. Does your website contain a clear call to action? View more work. Search our listings, Sign up for our e-newsletter, Speak with a representative, Add to cart etc, are some calls to action you can use to make your website easily navigated. Is what you do clear and interesting to your users? The importance of first impressions cannot be overstated. You aren’t a monopoly; consumers are constantly comparing you with competition. Visitors should grasp, within seconds, who you are and what you do. Use simple and clear descriptions of the company’s mission and vision statements. Does your site strengthen the experience you’ve created on other channels? The goal is to create a seamless experience — online and offline. 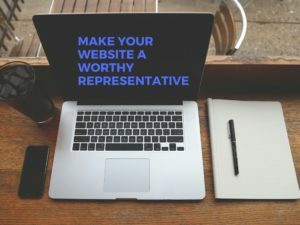 If consumers are already familiar with you from, say, an ongoing business relationship, a retail presence, or media coverage, your business’ website needs to deepen their understanding of your value. It should move them along the continuum of Awareness- Deliberation – Preference -Purchase. Your online and offline experiences should work in sync, reinforcing one another. Does your site feel current? If the answer is no, then you need to do better. An outdated website equals an outdated business. It is important to know that an out-of-date website leaves a negative impression, on a grand scale. Therefore, do not create a website you can’t manage; consciously commit to monthly, weekly, sometimes even daily updates. Innovation, quality and attention to detail are our watchwords at WIldFlower PR & Company. We believe there is always a fresh angle to every strategy. Our keyword is quality and we have our eyes focused every step of the process. Let's Talk! We would love to hear from you.